Club skipper Alex Peterson sat this one out as he started a two-game suspension, however fit again Sam Colbear took his place in the middle of the back four. The Nailers were making their first ever appearance at Marske’s Mount Pleasant ground and straight from the start it was evident that the breeze would have a significant part to play. 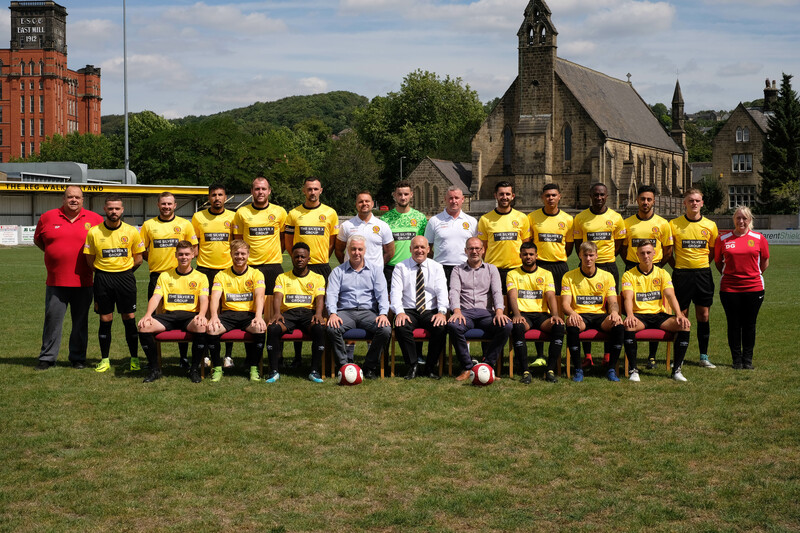 Belper had the wind behind them in the first half and had a good opening spell until the hosts showed their ability to trouble the Nailers with their speed on the counter. In his 300th appearance for the hosts, Glen Butterworth went close for Marske in the 9th minute as he flicked a Curtis Round cross just wide of the far post. Jack Blackford wrong footed the Belper defence soon afterwards setting Curtis Round free, however Seb Malkowski made the first of a number of crucial saves throughout the afternoon. The Nailers had their first attempt on goal in the 16th minute when Nathan Curtis hit an angled drive goal bound, but Robert Dean saved comfortably. Belper crowned a promising spell with a goal on 17 minutes after they were awarded a free kick just outside the penalty area. Danny Gordon’s cross reached Danny South at the far post where he made no mistake with an unchallenged header. The Seasiders almost levelled the scores on 26 minutes when James Fairley weaved his way past at least three defenders, only to see his shot saved by Seb Malkowski. Despite having the wind advantage, the Nailers found themselves under pressure in the closing stages of the half, and they didn’t help themselves by giving the ball straight back to their opponents on numerous occasions. Chay Liddle missed a great opportunity to give his team a half time lead when he hit the post from close range when it looked easier to score. Belper spent much of the second half defending, and they also had to deal with a strengthening wind. The Belper ‘keeper denied Butterfield in the 50th minute as the hosts began the second period in earnest, then against the overall run of play, Belper had two efforts on goal that might have surprised Marske. Firstly Danny South’s attempted overhead kick went over the bar, and then George Milner’s clever pass put Derry Robson in space, however he couldn’t turn and get his shot away. The Seasiders broke quickly on 61 minutes and Curtis Round should have put the hosts ahead as he bore down on the ‘keeper in a one to one situation, however Malkowski made a smart save to deny him. Marske took the lead with what appeared to be a soft goal on 68 minutes, after James Fairley’s shot on the turn eluded Malkowski at his far post. The Belper ‘keeper was in the right place to deny another effort from Fairley on 78 minutes, and at this stage the Seasiders looked likely to extend their lead. Round missed another chance to settle things in the 82nd minute, and the hosts were made to regret those missed chances when the Nailers scored a dramatic equaliser. Danny South nodded on an 89th minute free kick and Alfred Thompson was at the far post was able to force the ball over the line and send the travelling Nailers’ support into raptures. Belper substitute Liam Owen might have snatched a very late winner when he received the ball in space barely 12 yards out, but he hesitated too long and the opportunity was gone. On possession and chances created, the Nailers were second best in this game, however despite this, they extended their unbeaten run to four games.